After falling short to the Warriors in Game 7 of the Western Conference Finals, the Houston Rockets' redemption tour is almost ready. It hasn't been a memorable offseason for their roster, as Trevor Ariza and Luc Mbah a Moute found themselves leaving town. Losing two talented defenders certainly hurts, but Mike D'Antoni and the rest of his coaching staff have more than enough talent to make another run. Before the season begins though, the Rockets will have to settle their contract dispute with ​Clint Capela. Multiple league sources still expect the #Rockets to resign Clint Capela, despite him previously turning down Houston’s 5-year, $85M offer. ​​Retaining the restricted free agent will be critical to their season, as Capela would once again slide into the starting lineup. While his offensive skill set is limited, the starting duo of James Harden and ​Chris Paul makes life easier for the rest of their team. Not only will they attract the majority of the opposing defense's attention, but they also perfect the pick-and-roll offense with the Switzerland star. Now, it's time to figure out the absolute mess at both forward positions. It'd be rather wise to start PJ Tucker, who provides fantastic perimeter and playoff experience to their roster. However, the power forward spot remains an uncertainty. Two possible options could be Ryan Andersen and James Ennis, both of whom can provide a spark from beyond the arc. ​​Overall, the best possible look for the Rockets would be a starting five that consists of CP3, Harden, Ennis, Tucker and Capela. This lineup allows them to continue switching their matchups on defense, provides length, and ultimately can compete with Golden State. 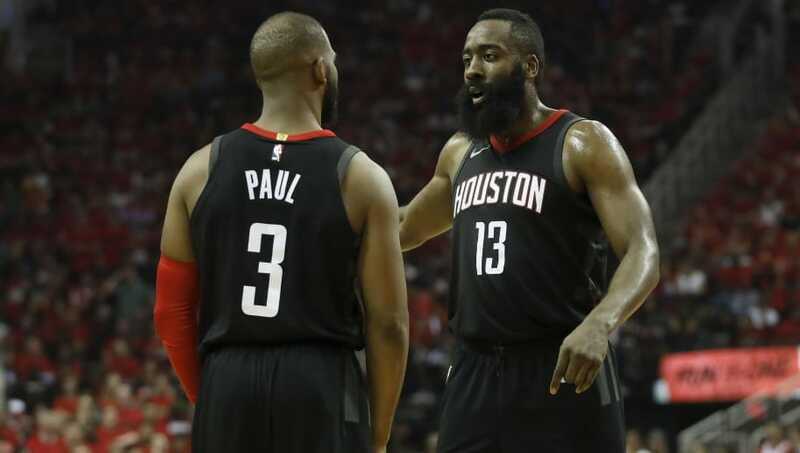 Forget about all the speculation surrounding Carmelo Anthony, Houston is better off running their current core out there. ​​With Eric Gordon carrying their bench unit, the Rockets will have one of the best overall rosters in the NBA once again.